We specialize in the development and production of led nano tube lighting series . Factory direct t8 / t5 nano tube led lights since 2008 with good quality and competitive price . 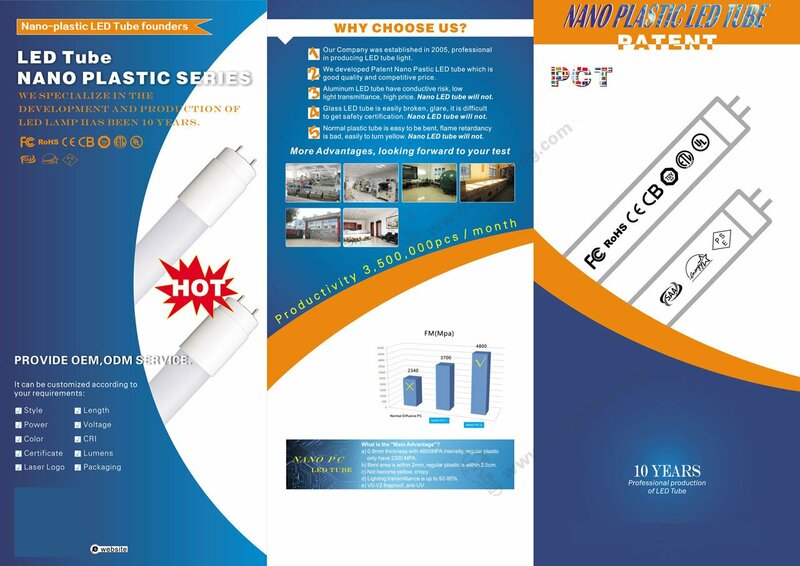 By using nano plastic technology, our tube lighting series have good heat emit , safe conduction, great light transmittance, not easy breaking during shipping . High intensity and not easy for bent especially for 4 foot up length , V0 – V2 class fireproof, good UV resistant for this nano led tubes .